“Koh Kong: At present, during the season to import fruits, hundreds of tonnes of Thai goods are imported at the Cham Yeam border crossing on cars, trucks, and carts each day, to be distributed in Koh Kong and other provinces and in Phnom Penh without proper checking on the quality of those goods by CamControl officials. “According to information from the Cham Yeam border crossing, CamControl officials at the crossing do not care to check the quality of imported goods nowadays, but they just wait to collect money from the owners of the goods. “A trader who imports goods on carts said that he has to pay CamControl officials stationed at the crossing Riel 10,000 to Riel 30,000 [approx. US$2.40 to US$7.10] per cart instead of checking, and there are no receipts for the payments. The above trader complained that he cannot protest against the requirement to pay money, otherwise they would block the goods from being imported by declaring that those goods are of no quality and that no tax had been paid. He added that besides goods loaded on carts, other goods are imported on cars and trucks without any checking, like the cars of traders that transport all types of sausages, and cars and trucks carrying small fish, drinks, and other goods. “The above source added that on every single day, there are at least 100 to 150 carts that import Thai goods across the Cham Yeam border crossing. Because there is no proper checking, every day some prohibited and no-quality goods such as pork, chicken, eggs, vegetables, and fruits, that are considered to be garbage in Thailand, are now acquired by traders and imported for distribution at the markets anarchically. “Earlier on, Sam Rainsy Party parliamentarians had frequently demanded that the National Assembly should promote the use of the Riel, and now there is a plan by the government for the de-dollarization of the economy towards the use of the Riel in general, which is welcomed immediately by the opposition party. “There is the same insight like what the opposition party had said, that only the use of the Cambodian currency can help Cambodia to maintain economic stability and its prestige. A millionaire and senator from the Cambodian People’s Party, Mr. Kong Triv, stated in support of the initiative that Cambodia should use the Riel to show its integrity at the international arena. “Anyway, this initiative was intensively debated on Thursday, 20 May 2010. Most participants wanted Cambodia to take effective actions to ensure the use of its currency. 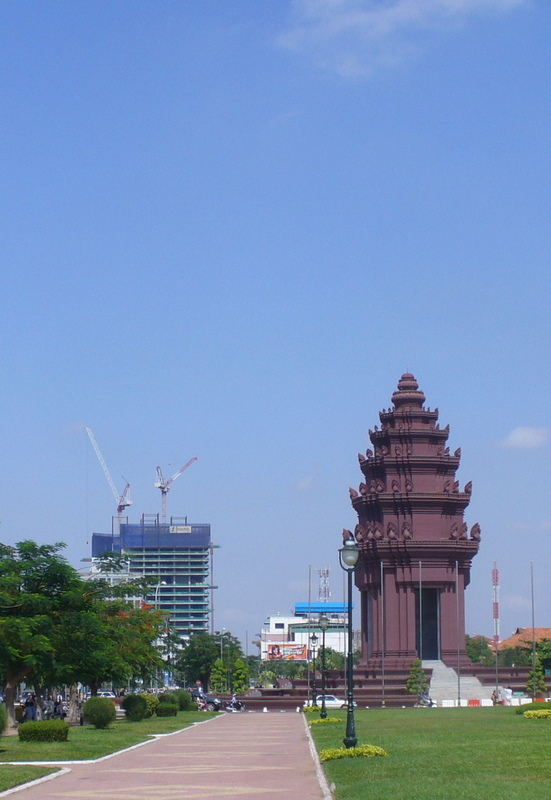 For years, Cambodia had been criticized for allowing the free use of foreign currencies, including the US Dollar, which is being lively traded in the markets of Cambodia – and that devalues the Riel. “Mr. Yim Sovann said that dollar notes are used for buying and selling, including even such simple daily vegetable products like water convolvulus, and this partly devalues its own currency – something no other countries do as Cambodia does. Neighboring countries like Thailand and Vietnam established their central banks for exchanging foreign currencies into their countries’ currencies. Everywhere in Yuon [Vietnam], the Dong is used. He added that tourists as well as investors exchange Dollar notes or their countries’ currencies when they leave Cambodia [for Thailand of Vietnam]. “As for foreign currencies used in Cambodia, it is not only the US Dollar. In some provinces of Cambodia bordering Siam [Thailand] and Yuon, their currencies are also invading . For example, if one want to go to Bavet in Svay Rieng or to Phnom Din district in Takeo, one needs to exchange Riels and Dollars for Dongs in advance. And if one wants to go to Oddar Meanchey or to Koh Kong, one needs to exchange money to have Thai Baht, because at those places, Riel notes are not used in general, and some common vendors do not even know Khmer Riel notes well. “The most important problem is that earlier on as well as recently, it had been reported that the Koh Kong Water Supply and Electricity Authority – exclusively controlled by a local millionaire and senator from the Cambodian People’s Party, Ly Yong Phat, known to hold a Siamese identification card – officially decided to order the citizens in the town to settle their electricity bills with Thai Baht. 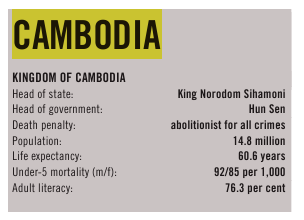 This seems to show to have indirectly cut-off the province of Koh Kong from Cambodia and attached it to Siam. “This bad decision, that leads to the devaluation of one’s own currency, seems to be a part of the devaluation of the national identity, and it is seen to originate from the Cambodian government itself, as most bidding and expense-income projects of the state are settled by using US Dollars rather than Riels. Therefore, the Cambodian People’s Party government has to be awake and stop devaluing its own currency. If it prints Riel notes, but does not use them broadly in the country, it is useless to print them and to waste national resources on it. In fact, it is not a good practice when a nation does not support its own country, but values the currencies of other nations.